Defamation refers to the publication of false statements about an individual, group or organization. If you have been terminated by your employer based on false statements made about you by a coworkers, supervisor or manager, or you have been wrongfully accused of dishonesty, theft or harassment, you may be able to file a lawsuit against your employer for defamation, slander or libel. When you have been damaged professionally because of character defamation, you may be entitled to recover money for damages incurred. 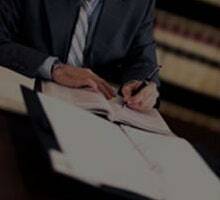 Contact an experienced California defamation attorney from The Nourmand Law Firm so that we can evaluate your situation and aggressively fight for your rights in court. We believe in being strong advocates for all employees who have been wrongly defamed in the workplace. In the state of California, employees have the right to sue an employer for defamation if they have been terminated based on false verbal or written statements made by a supervisor, manager or coworker. Contact an experienced California defamation attorney from The Nourmand Law Firm if you have been the victim of defamation. . We will aggressively fight for your rights in court to preserve your character and integrity, and ensure that you receive the compensation you deserve.